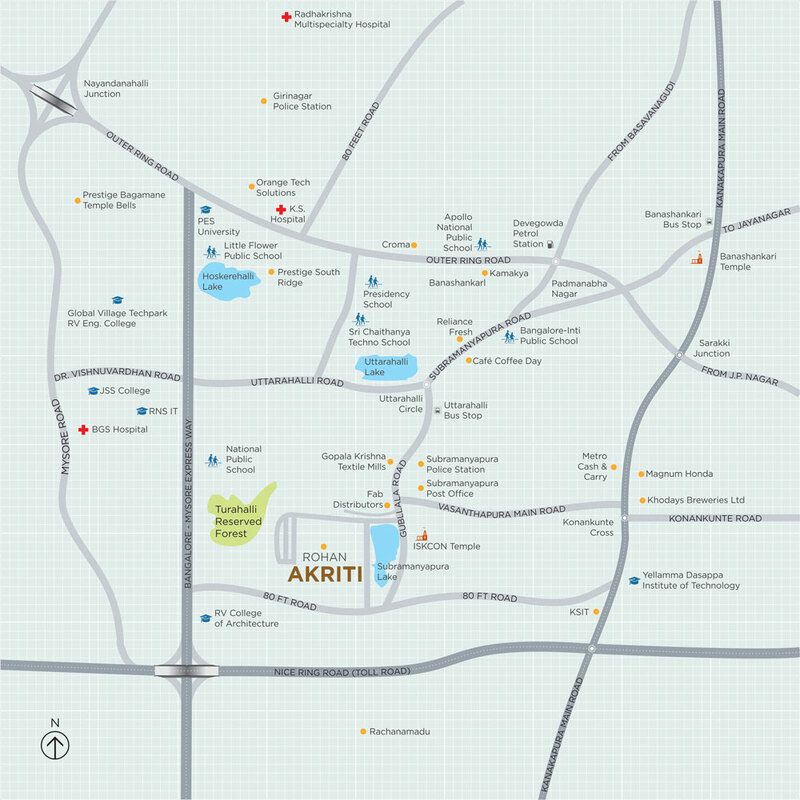 Rohan Akriti is an unmatched residential property launched by the well-known Rohan Developers Pvt. Ltd, stationed at Kanakapura Road, Bangalore. The upcoming residential enclave will house artistically and elegantly built residential formats that will enthrall its residents in every sense and which are quite impressive and inviting. Surrounded by lush greeneries, the awe-inspiring homes are intricately planned taking into consideration the finest nuisances of life. The developed area covers 5 acres of luscious land environs and houses 6 residential towers that are G+13 floors high. There are 440 housing units in all, varying in configurations ranging from 1 bedroom apartment to 3 bedrooms home. The residences are of dissimilar sizes covering 544 sq. ft. – 1533 sq. ft. of areas. The seismic-resistant structure is beautifully built and embellished with latest and unique features. The homes are surrounded by pleasing and landscaped gardens and add to the magnificence of the property. The apartments are quite airy and roomy and have feature-rich interiors like designer tiled floor, modern fittings and fixtures, granite slab in kitchen, and large and well-placed windows for ample natural sunlight. Rohan Akriti price starts at Rs 29.70 lakhs and goes up to Rs 83.20 lakhs, well-supported by multiple payment plans to make the purchase comfortable. Rohan Akriti Kanakapura Road entertains you completely with its exquisite and essential amenities like swimming pool, kids’ play area, modern sports facilities, covered car parking, special place for day care centre, multipurpose hall, sewerage treatment plant, complete water and power back up and sprawling greens to keep the atmosphere refreshing and rejuvenating. The gated community has round-the-clock security that will make your life absolutely comfortable and hassle-free. The upcoming project is comfortably located at Kanakapura Road, Bangalore and is close to all the basic social and civic utilities of life. Enjoying proximity to several express corridors, it is well-connected by all means of public transport, and offers flawless commuting to prime locations of the city. It is 5 kms away from NICE Ring Road, 12 kms from Bangalore City Railway Station and 15 kms from the Airport. Thus, Rohan Akriti Bangalore is emerging to be a hot choice of residents due to its unbeatable location, state-of-art amenities, and stunning architecture that will offer you a blissful living experience. This residential development is situated at Jayanagar Housing Society Layout of Subramanyapura, only a km off Kanakapura Road, South Bangalore. The project is developing to the close vicinity with NICE Ring Road prompting IT center points of Electronics city and the NICE Bangalore Mysore Expressway. The area obliges well-laid physical foundation with great and wide streets. The social edge work in the area incorporates Schools, universities, shopping centers, medical clinics, Banks, ATMs, stores and many more. The Art of Living focus and the eagerly awaited Krishna Leela Park by ISCKON are at short drive separations to this complex. 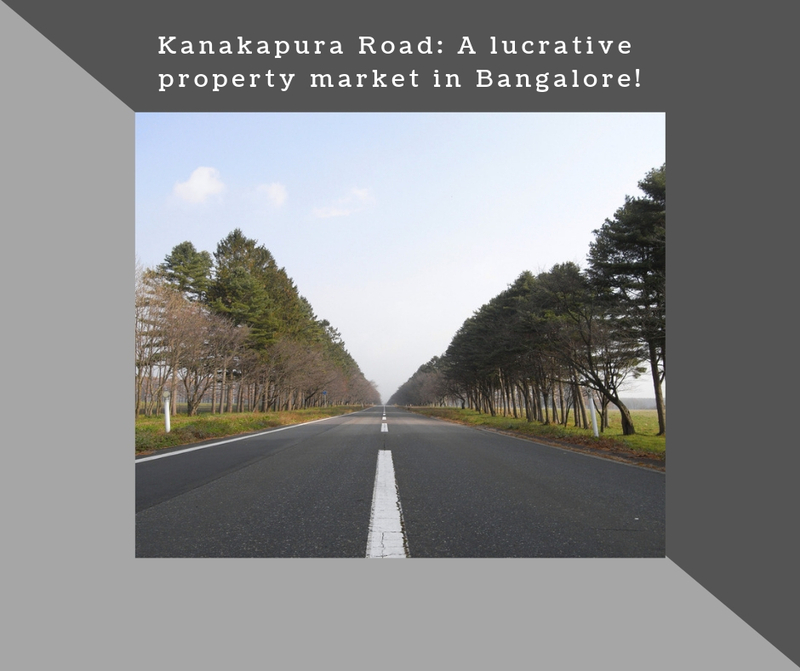 Subramanyapura is rapidly developing as a prime territory in the city of Bangalore. This zone is situated on the Bangalore-Coimbatore National Highway (NH 209). The district has turned out to be very dynamic in the framework radar because of different significant improvements which incorporate foundation of NICE (Bangalore-Mysore Infrastructure Corridor) Road that has upgraded availability with Electronics City, Bannerghatta Road and Mysore Road. The area is radiantly connected with the Metro Station, Shopping Malls and different other fundamental foundations. Bangalore Metro Phase I till Puttenahalli is another significant advancement of this area. The Peripheral Ring Road interfaces all the major expressways - Mysore, Tumkur, Hosur and Old Madras Road guaranteeing a problem free driving background for inhabitants. Late infrastructural advancements are recommending a way of high development for the zone which is drawing in a great deal of private ventures in the city. The tranquil condition and characteristic excellence of this spot abandons one enchanted. Gleaming blue waters in the well known pools of Thalaghattapura, Kaggalipura and Harohalli add to the appeal and excellence of this district. Subramanyapura is making its imprint as a desired center for social, instructive and profound advancement. Specialty of Living Ashram is a popular milestone for this area which adds to the profound quest for the occupants. A few International Schools, Colleges, Hospitals, Banks, ATMs and other essential foundations have made this spot much progressively alluring for tenants. Rohan Group- leading real estate developers in India! Rohan Group is one of the trusted names in the real estate scenario of India. Founded in the year 1993, the group now has a team of over 1,000 skilled professionals. The group has completed over 15 million square feet of projects across the country. The real estate giants has constructed the Amritsar Wagah NH1 that connects India to Pakistan and also some other roads, tunnels, bridges across Rajasthan, Maharashtra, Punjab, to name a few. The group, since its inception has come a long way in terms of real estate developments making every venture an unforgettable piece of the city skyline. The Group has been the recipient of many awards like the CRISIL DA2+ rating for real estate developers, the highest rating given to any developer in India in 2006, ‘Best Luxury - Residential Project’ for Rohan Madhuban and ‘Best Residential Project’ for Rohan Jharoka in 2010 and many more.With its promise to provide unmatched services to the clients, Rohan Group is on the path to continue leading the real estate industry in India. RERA Reg. No. : PR/KN/170731/000903. It is really a marvelous residential project. The apartments are well furnished and well designed. Developer added numerous amenities which is very important factor for any project as well as the key features of this project is its location. It is located at Kanakapura Road which is very famous and nice location in Bangalore. If you are in search for dream home then it is really upto the mark.